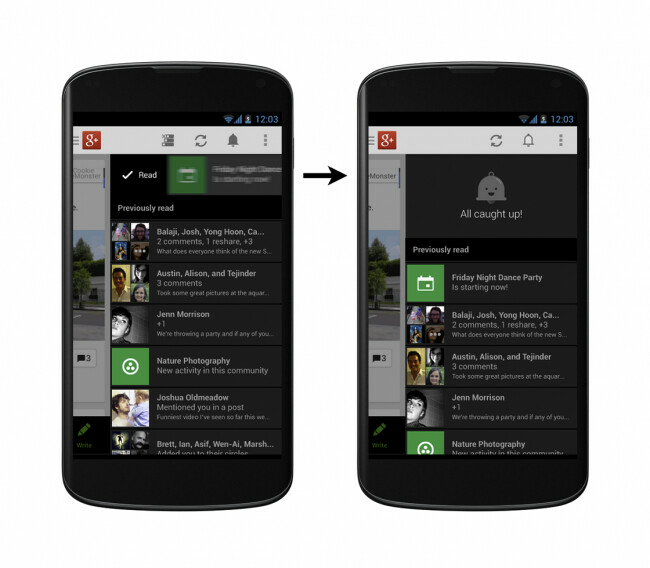 When Google first announced the new notification syncing feature during Google I/O, our first thought was, "Finally! 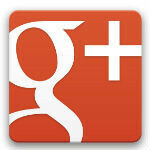 No more doubled up Google+ notifications!" We've had to wait a bit for the feature to make its way out, but today's update of the Google+ Android app does add notification syncing and more. The notification icon in the app seems to have been changed from the numbered square to a bell icon, according to the screenshots. We just got the update, but we aren't seeing any bell in the Android app. We're assuming that's because notification syncing is also rolling out on the web, and it won't show without both sides being updated. The update also reorganizes the notification tray for G+, so it delineates the new messages from ones you've previously read. The app will now also sync notifications as read if you simply dismiss it. There are also a few non-notification related changes. The navigation tray items have been reorganized to be "more consistent with other Google apps". You can finally delete photos directly in the app, that's been a feature a long time coming. And, tapping on a post will show you the number of +1′s, comments and reshares. The update is rolling out right now on Android, so if you don't have it yet, it should get to you soon enough. And, you can always check the web Google Play page, because sometimes you can get updates earlier by pushing it from the web. Google's +Vic Gundotra says that the update should be coming soon to iOS. All I see is Android 4.3 being fed in peices. Do you think that even though Google can roll out this update now, they should just leave it on the self until some date in the future? Why not release it now so people can get this sooner? Why should we wait for everything to come out at the same time at a later date? i like it :) I just hope Google will delete the Messanger app from the list, since Hang Out is already there.